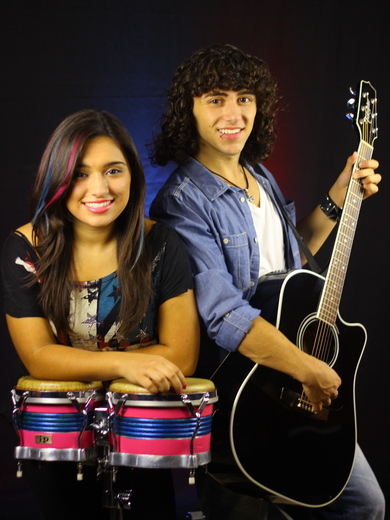 Justin and Alina are a brother & sister musical duo. Both are entertainers and multi-instrumentalists with over 320 on-stage performances under their belt. Justin is a guitar player, keyboard player, and a notable singer with a passion for songwriting. Alina has the vocal power of Amy Lee, the raspy delivery of Pink and as a drummer and percussionist she hits the skins harder than most boys twice her age, all while belting out the tunes. Their repertoire includes original tunes and cover songs by artists such as Lady Gaga, Rihanna, Maroon Five, Jason Mraz and Bruno Mars. Their harmonies have been described as magical -- their medley creations innovative. To watch them perform is to witness an extraordinary talent. Totally at home in front of a large audience, Justin and Alina maintain an infectious energy and have an uncanny ability to turn their audience into instant fans.